Did you know that the Kenworth T-660 design is based on the Kenworth W900? The main differences between them are frame and suspension as well as aerodynamic design (the Kenworth T-660 is incredibly aerodynamic, drastically reducing the amount of drag and conserving more fuel for longer trips). Even though the T-660 has been retired since 2016 in favor of the Kenworth T-680, it’s still immensely popular, even when put up against other popular types of vehicles, such as the Peterbilt. They also manage to retain their value more than any other used truck, including Peterbilt models. Kenworth’s dedication to excellence and updating their vehicles has ensured that many, if not most, drivers are repeat customers. They’ve also gone global, reaching around the globe to include factories and facilities in North America (Canada, the United States, and Mexico) and Australia. 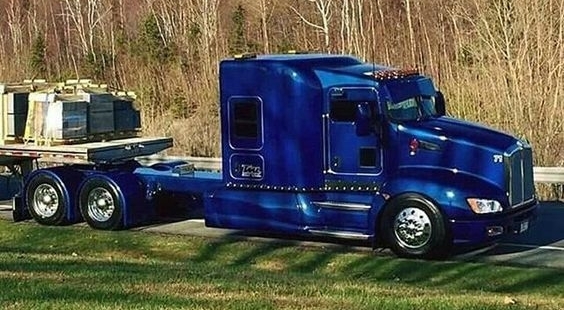 The Kenworth is quite recognizable on its own, but it’s also easily upgraded to include special features or chrome-covered parts, in case you want to make your own vehicle stand out just a little bit more. Though purchasing a new Kenworth will set you back more than if you were to buy from a competitor, the longevity of a Kenworth is why many drivers choose it over and over again. With its aerodynamic shape, fuel efficiency, and performance, it has remained popular for good reason.